One of the most odd things about fashion is how it operates in its own time system. Not much to do with real time. Trends and collections get going about a year in advance. Magazines are preparing Christmas in August and resort wear in February. Another baffling time factor is when things arrive to shops and when the trends actually take off on high streets. 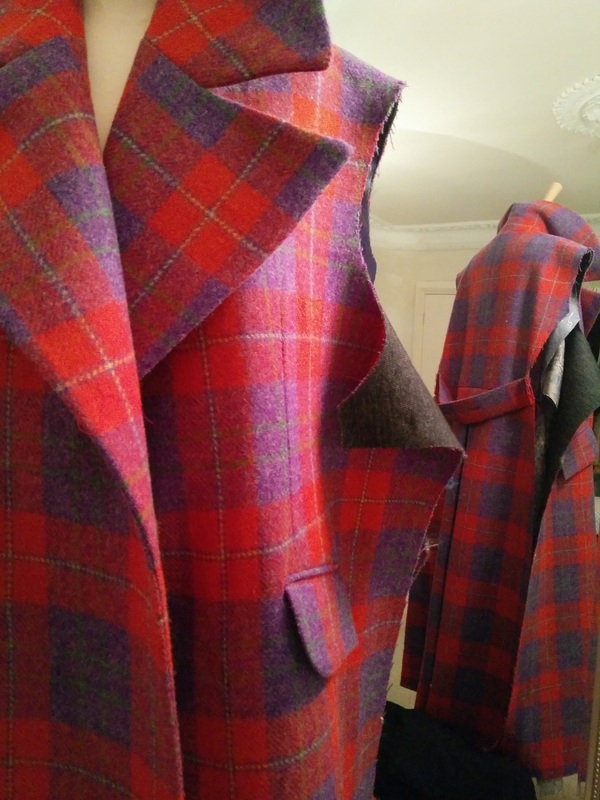 With the similar well-in-advance planning this coat was created over spring and summer months, but will spring into it’s real life now when winter is here. 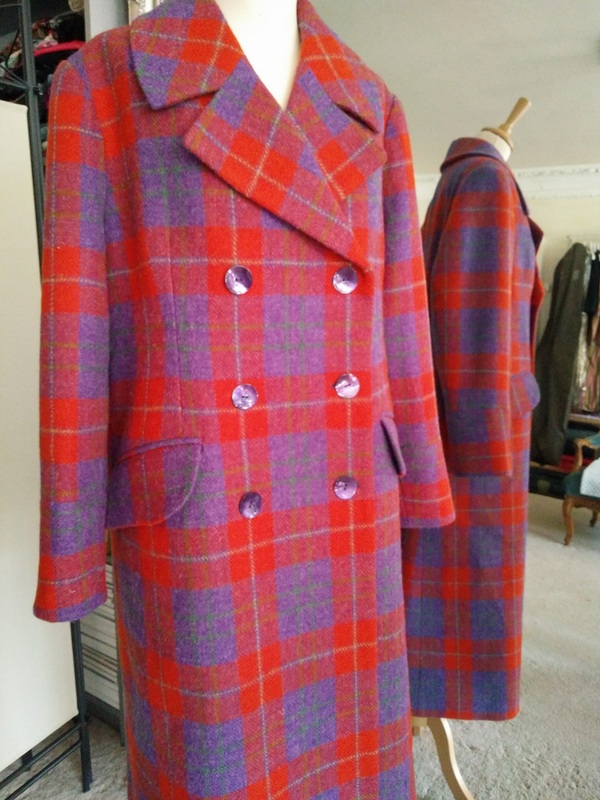 This coat is increadably special in many ways. Firstly, it is bespoke and handmade through and through. 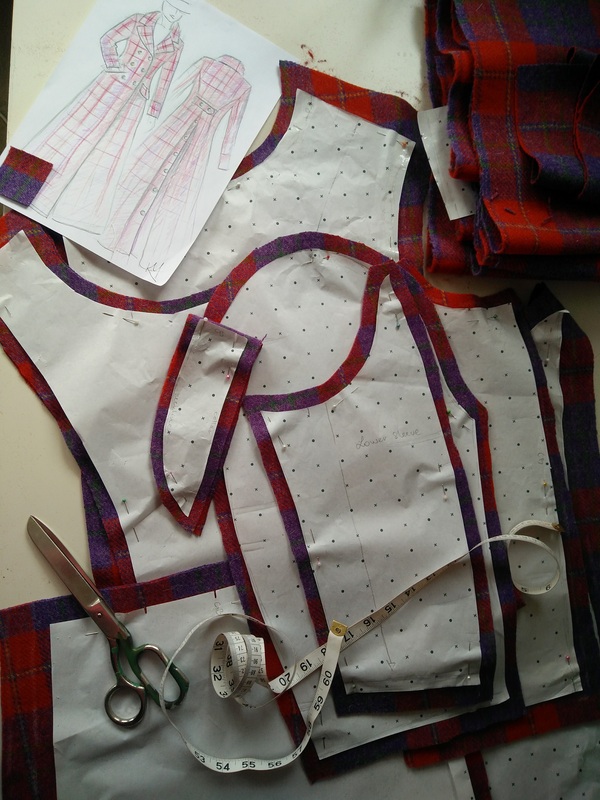 It has bespoke design, cut and fit. But not only. The unique and vibrant wool tartan is from Harris Tweed. 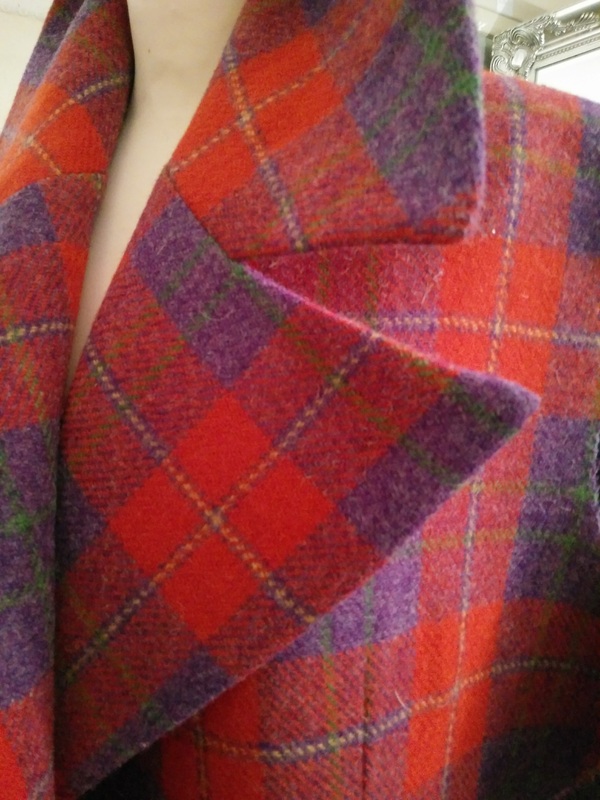 https://www.harristweed.org/ All of its cloth is hand-woven, high quality and comes in outstandingly beautiful colours. 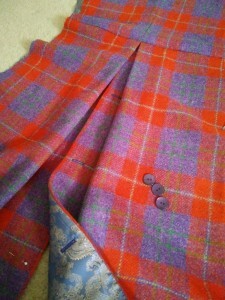 I wish to work with Harris Tweed fabrics again. Secondly, outerwear is one of my favorite areas of tailoring. Coats and jackets have always fascinated me by they distinctive structure and practical features. I believe a coat could be the ultimate piece of clothing where design can be design in its fullest form- uniting beauty with utility. Some of the greatest features here are shaped shoulders, wide collar lapels, pockets with flaps, tailored set-in sleeves with cuffs, double breasted front, back vent with buttons. Button are also chosen and ordered to match the coat. All nicely lined so that there is another world of beauty inside. Lastly this coat is one for life. 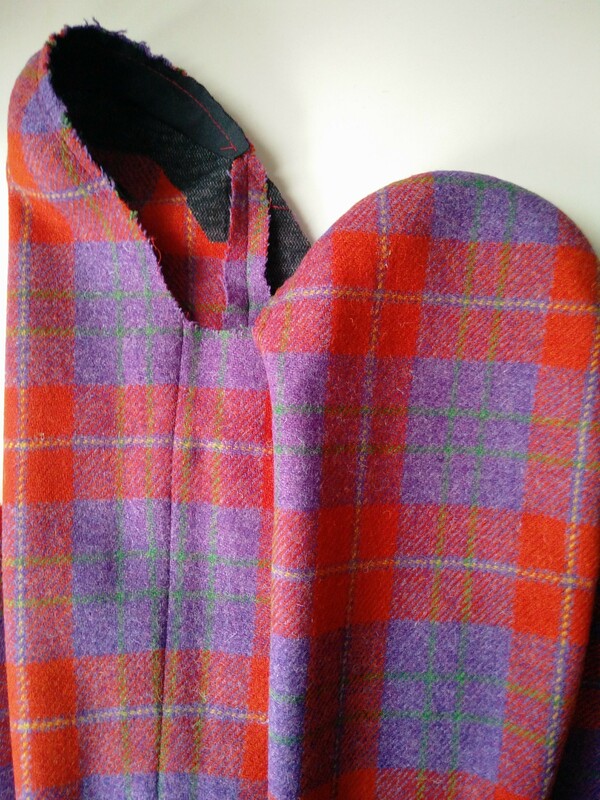 A great way to stay warm and stylish and to take colour into dark winters.